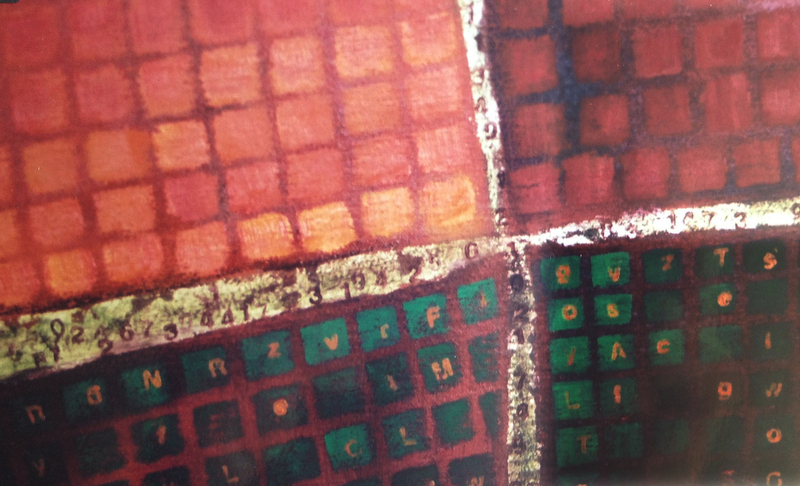 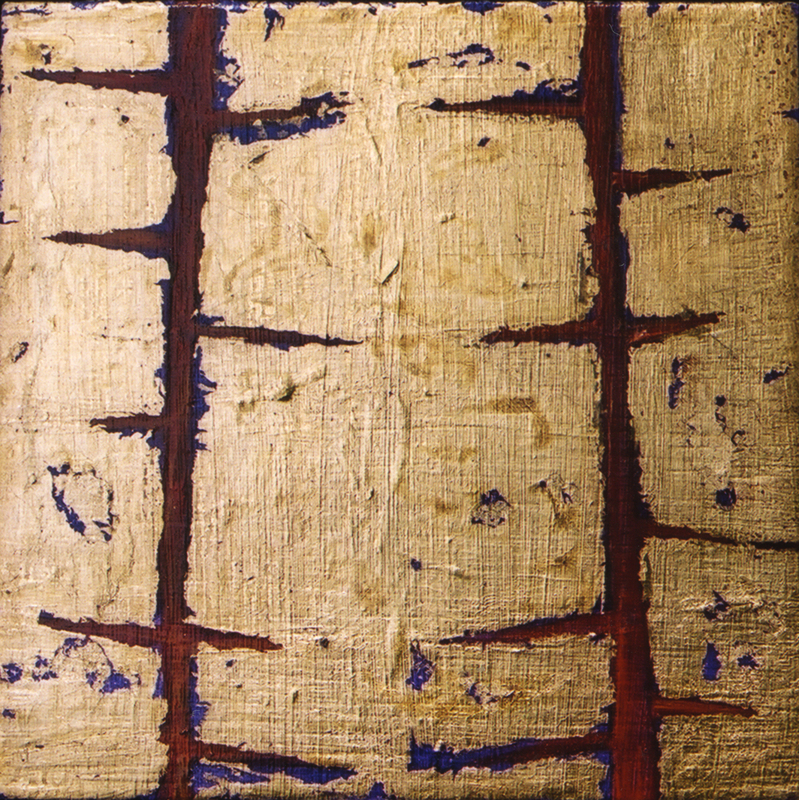 Data mine, 2000, oil on canvas, private collection. 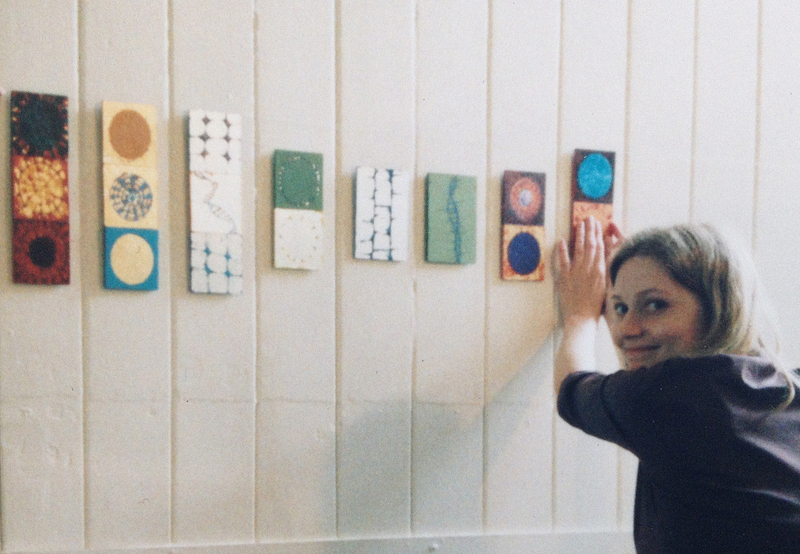 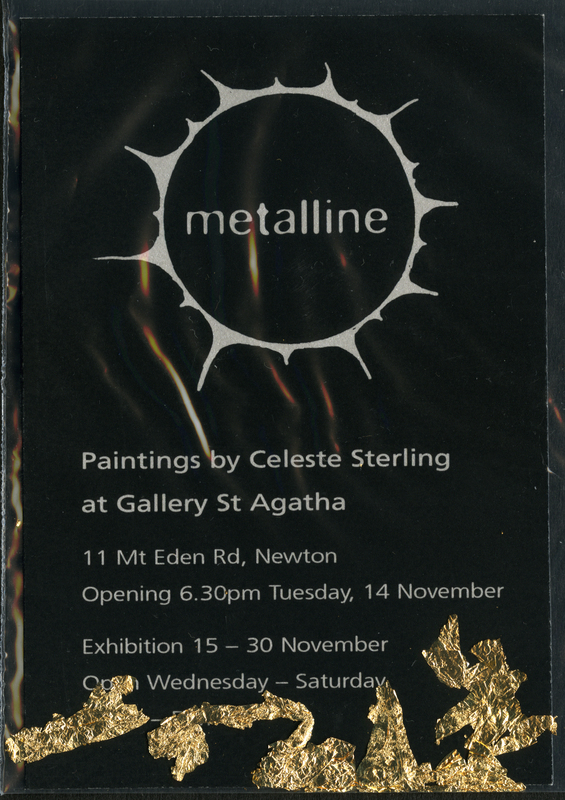 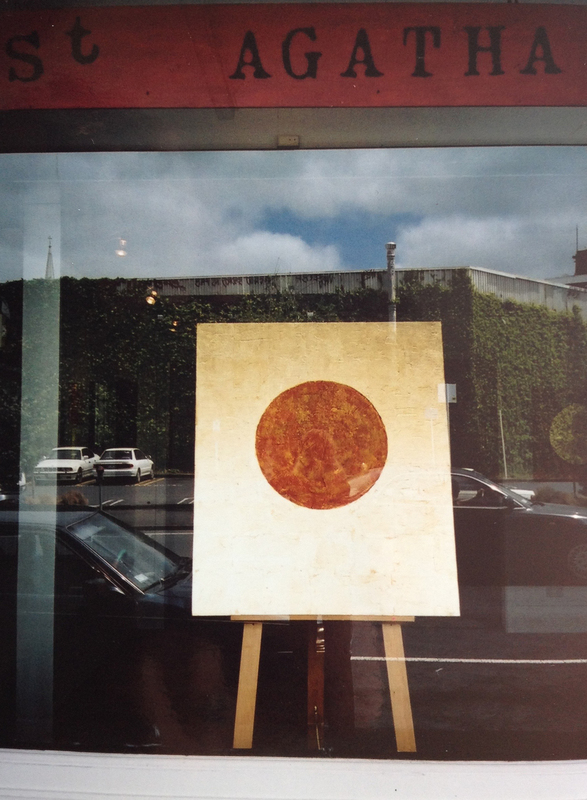 In 2000 I organised my first solo show of 32 works at Gallery St Agatha, a small artist-run gallery in Newton, Auckland. 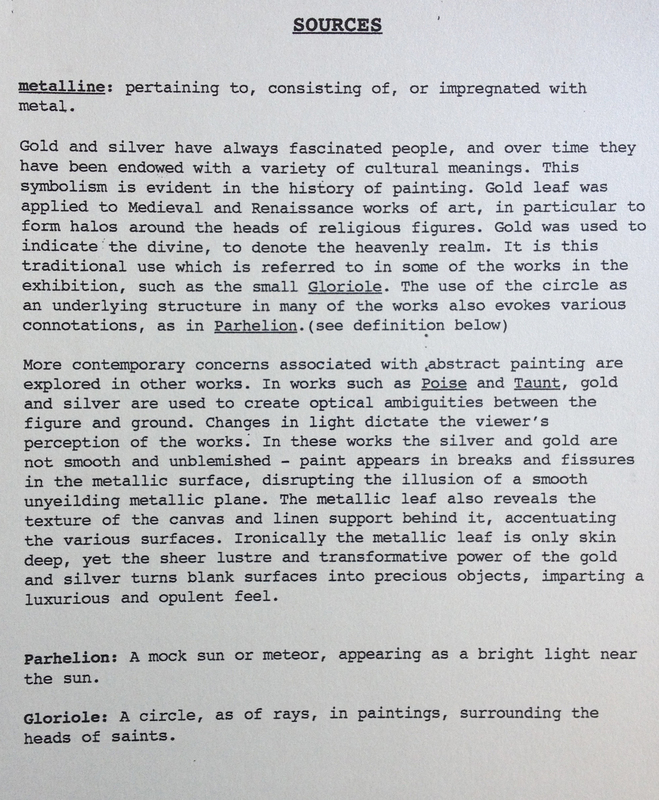 Many of the works in this show incorporated metallic leaf. 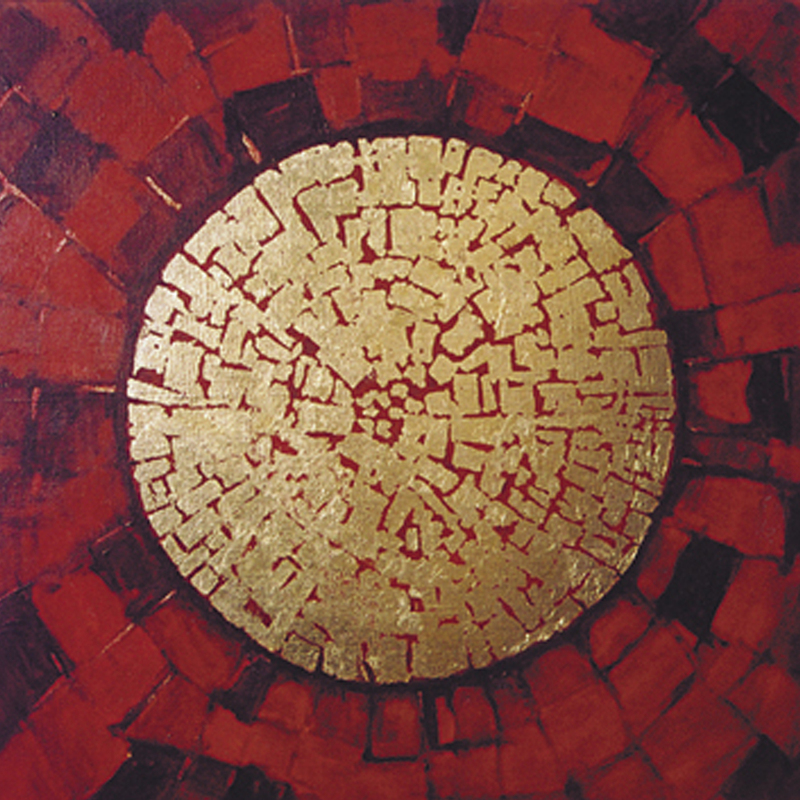 Spheres were also a strong theme, something which has endured in my work in the years since. 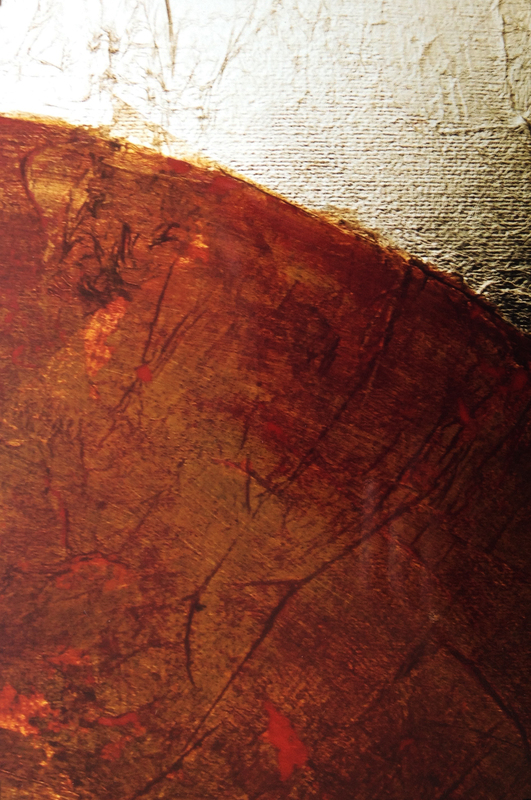 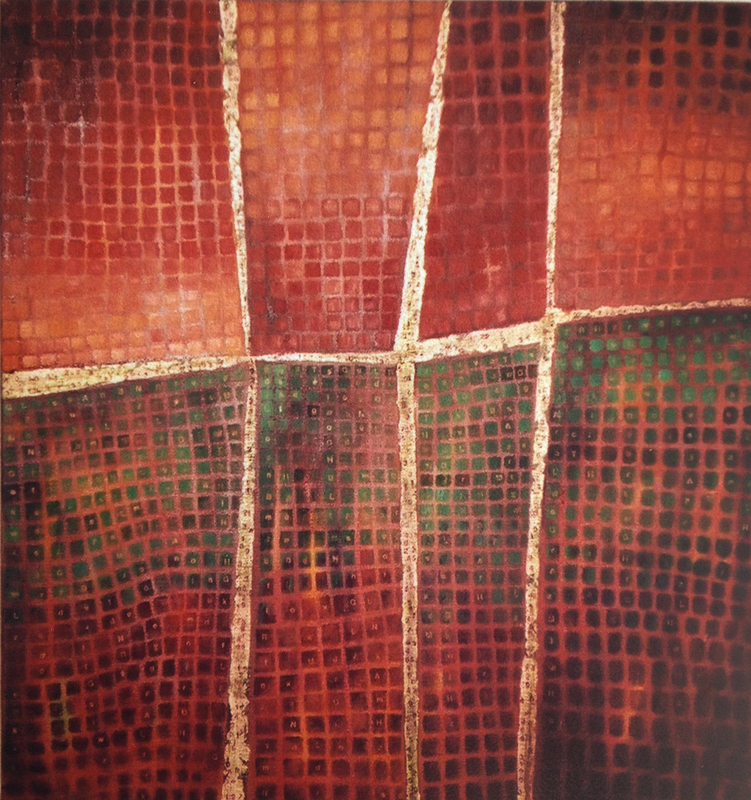 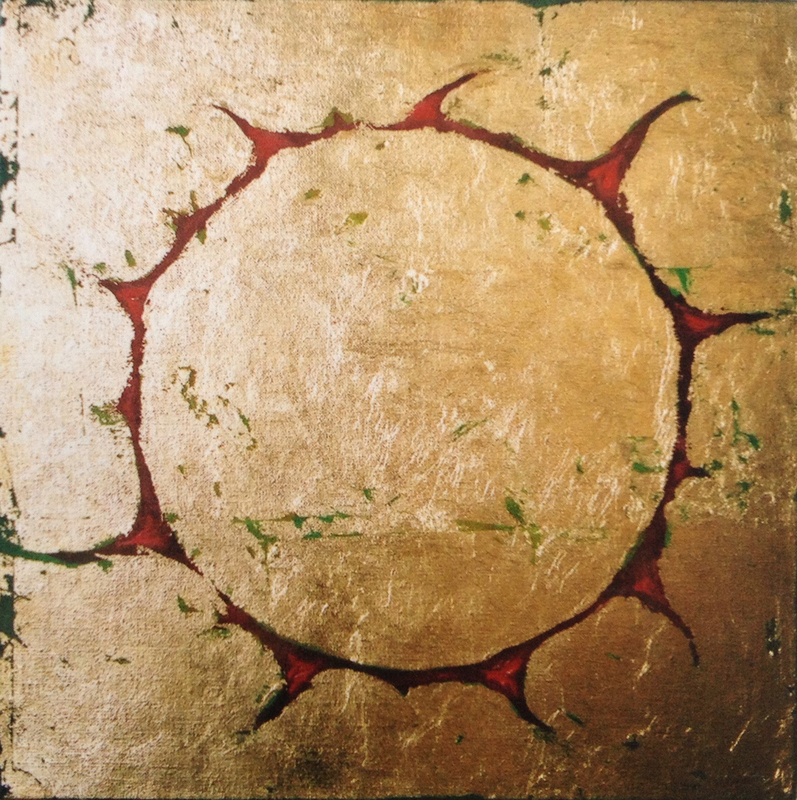 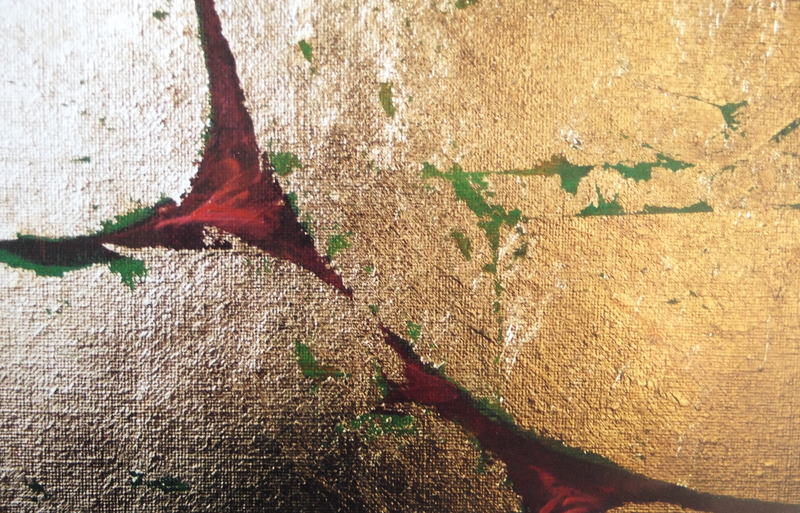 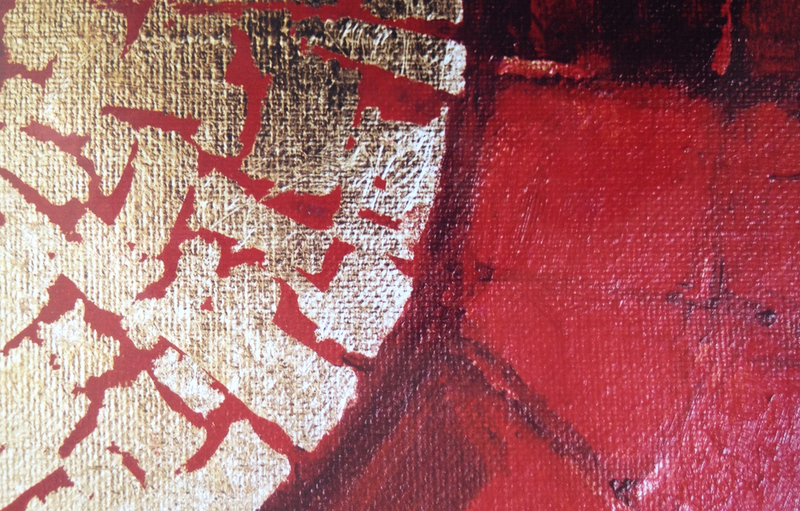 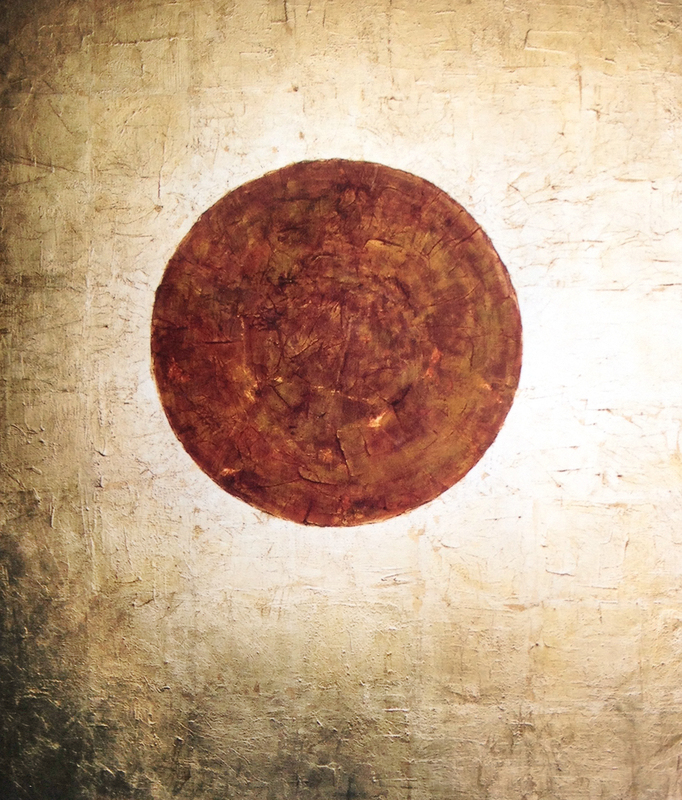 Parhelion, 2000, acrylic and metallic leaf on canvas, private collection.